The fundamental problem in creating coherent policies is that eight different government agencies manage parts of the Mall and their goals and policies often are in conflict. 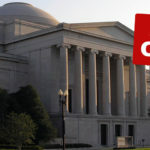 For example, the Smithsonian’s desire to program the open space with popular public events such as the Folklife Festival runs up against National Park Service’s increasingly strict bans on use of the open space in order to protect the grass and trees. Learn more at Why do we need to update public policy? Congress, in an attempt to protect the Mall from overdevelopment, declared the Mall a “completed work of civic art” but already has made exceptions to its own 2003 moratorium. Future development is inevitable so we need an intelligent plan and supporting policies to manage that growth. And public involvement is crucial to ensuring the Mall continues its role as our public square open to all Americans. Laws and policies that mandate public involvement in decision-making are too often treated as impediments to government achieving its goals. Citizens’ input is too often ignored. The National Mall Coalition supports thoughtful, intelligent improvements to Mall policies that protect the historic visionary legacy of the L’Enfant and McMillan Commission Plans, that ensure the Mall’s continuing, long-term growth and vitality, and that meaningfully engage the public in shaping that future. We do this by calling on Congress and the American public to support creation of a new unified plan to guide development for the Mall in the 3rd century. We advocate for public policies that recognize the Mall is an ever-evolving expression of American democracy where public gatherings and celebrations, cultural events, First Amendment activities, and recreation are crucial components of the Mall’s national purpose and meaning for the American public. We urge government to act on serious environmental threats including flooding. And we brings these concerns to the table through our involvement in the required public consultation process for individual Mall projects.